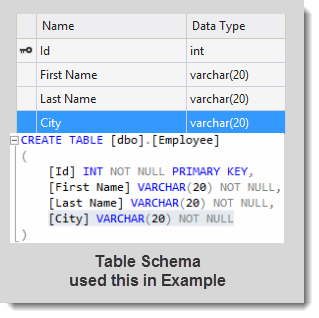 In this Article, We are going to see a simple example of DataBinding in GridView. For Demonstration, I have created a database (named EmployeeDB) in which We have a table named Employee. 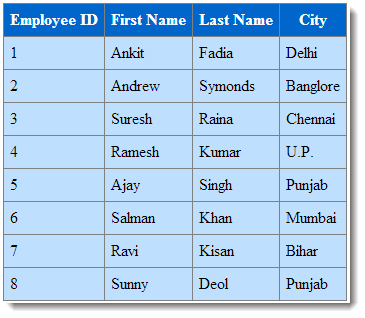 2) Add Columns Collection (tag) which manage the collection of Column fields. 3) Inside Columns tag, Add column field (BoundField) which displays the value of a field in a data source. 4) Set the DataField property to the name of column in table for binding to the BoundField object and Set HeaderText value for Displaying it on the GridView's Header. 5) We can also adjust the appearance of the Header and Row in a GridView using <HeaderStyle> element and <RowStyle> element. In this Example, I am using ADO.NET for Binding the data to GridView. For this We have to add System.Data and System.Data.SqlClient namespace in the namespace declaration. I've tried your code, but in the if clause, if database is empty, the grid is empty too. removing the if clause, even if the database is empty, it will show columns headers, that's fine to me.